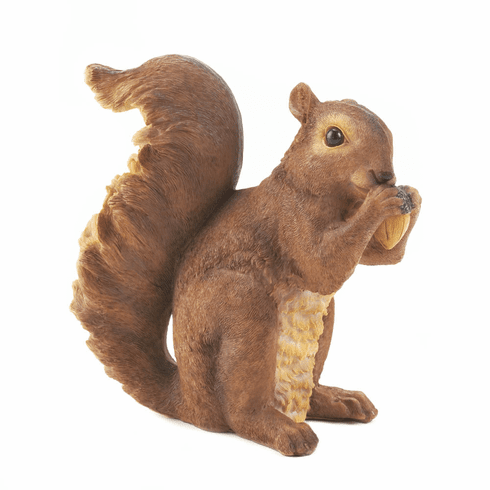 A tasty acorn is the perfect snack for this bushy-tailed squirrel. 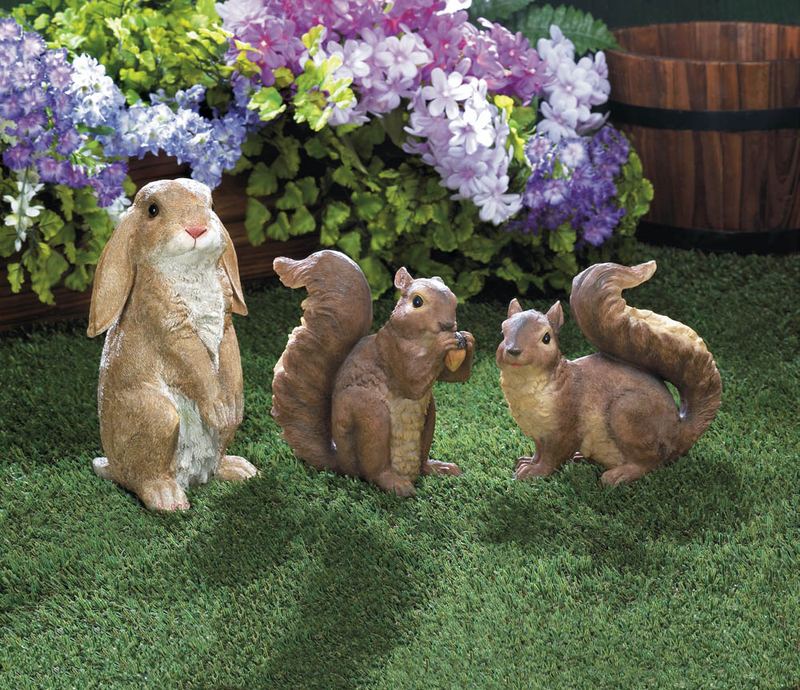 This statue’s gorgeous details and charming pose will make your garden or yard a cheerier place to relax. Item weight: 1 lb. 6½" x 3¼" x 6¾" high. UPC: 849179021986.